There are more and more drivers appearing on the roads, causing more traffic, more impatience and more recklessness. People are always in a rush while they are driving, causing them to make impulsive decisions that may not always be the safest ones. This could include weaving in and out of lanes, cutting people off, speeding up when it’s not necessary and more. Distracted driving, which has been called the new drunk driving, is also on the rise. Defined as any activity that diverts attention from driving by the National Highway Traffic Safety Administration (NHTSA), distracted driving is anything from texting while driving to eating when operating a vehicle. The scariest part about distracted driving is that most people won’t stop doing it until they get into an accident and are forced to feel the repercussions of such a foolish act. Recklessness coupled with distracted driving has caused the number of annual car accidents to increase. Houston personal injury lawyer, Ben Bronston, reports that there are more than 10 million car crashes a year and that the chances of getting seriously injured are higher than people believe. Waze is a community-based traffic and GPS app. The app calls for people to work together to get each other where they want to be faster. Users log into the app and report the location of police, road blockages, accidents and cheap gas. The app helps users find new pathways to get to where they need to be, often dodging traffic. This helps keep drivers happy and even more alert with it’s police reporting. Cutting traveling time down and cutting the amount of time that you’re on the road overall will help reduce your chances of getting in an accident. LifeSaver is a GPS app that includes a rewards system to encourage drivers to stop participating in dangerous habits. The app doesn’t allow drivers to make calls while they are driving and even notifies loved ones when you get to your destination. Family or friends can help support your journey to building good driving habits by setting up goals and prizes for you after you reach established milestones. The app also tracks and monitors users to see where the worst drivers are in the country. Users can see how well or poorly their community is doing and stay more alert around specific areas in town. Drivemode simplifies phone usage for drivers. The app allows you to easily navigate through your phone with voice commands and oversized buttons. The interface is programmed to consolidate multiple screens into one. Drivers are able to see their navigation, music and messaging all in one place. This eliminates the need for drivers to shuffle through apps at red lights or during slow traffic. Additionally, Drivermode allows users to write their own auto-replies to messages. So if you get a text while you’re driving, you have a set of messages that you wrote that you can reply with. While this may sound like Drivermode still provides the driver with distractions, it is still a great first step. As much as we would like people to stop changing their songs while they’re driving, the odds are very low that they will. So for now, it’s a step in the right direction to simplify things making smartphone engagement more straightforward. With less fuss comes less room for error. TrueMotion Family is an app that gives the whole family a look at everyone’s driving habits. The app tracks you as you drive and pinpoints the exact moments that you were distracted. They provide each user with a score at the end of their rides and encourages families to compete with each other to get the best result possible. The app has the ability to track a wide range of actions including how long you used your phone while driving, the number of hard brakes you took and how long you were driving over the speed limit. 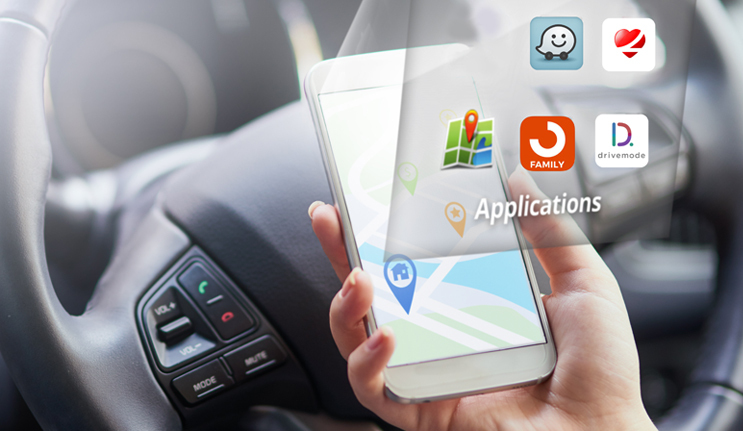 Family members who are also on the app are able to see where the other members are, their ride score and their trip history. It allows parents to keep track of new drivers. Give these apps a try and see if they help you stay safer and more alert on the road. Happy driving! 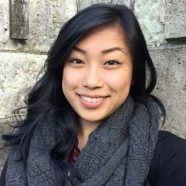 Amanda Lin is a content writer from Daly City, CA. She loves to write about safety, music, family, self-growth, and more. She is currently working with Safer-America to help shine a light on safety issues that affect consumers on a daily basis.